Bloomsbury U.S.A. Children's Books, 9781599906867, 272pp. After a devastating battle at headquarters in New York, the ghostkeeping world is in shambles. When Emma and Bennett return home, they are determined to defeat the wraithmaster, Neos, forever. But it's not going to be easy. Bennett's parents kick him out when they realize he is still using drugs to enhance his powers. Emma is convinced her aunt has come back from the dead to warn her of a new threat. And worst of all, Neos is using wraiths to possess the students at Thatcher Academy. 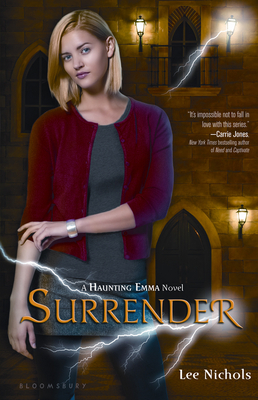 If the ghosts manage to take over the entire school, even Emma won't be strong enough to stop them. But if either she or Bennett sacrifice his or her powers, they might be able to save the ghostkeeping world once and for all-and break the "ghostkeepers lose their powers when they fall in love" curse. The question is: who will be the one to surrender all power? Fast-paced and romantic, this conclusion to the Haunting Emma trilogy will thrill readers as it brings the ghostly mystery to a close.